It may sound like something out of One Thousand and One Nights, but Abu Dhabi has rapidly transformed from a modest pearl and fishing village into a pulsating modern metropolis marked by a contrasting landscape composed of golden palaces, towering skyscrapers and a picturesque coastline. In stark contrast to the numerous upscale megamalls and ATMs that dispense bars of gold — we’re not exaggerating, some really do — you’ll see quaint souks packed with Arabian perfumes and antiques, as well as traditional fishing dhows motoring in from the Persian Gulf to deliver their daily catch at the port. 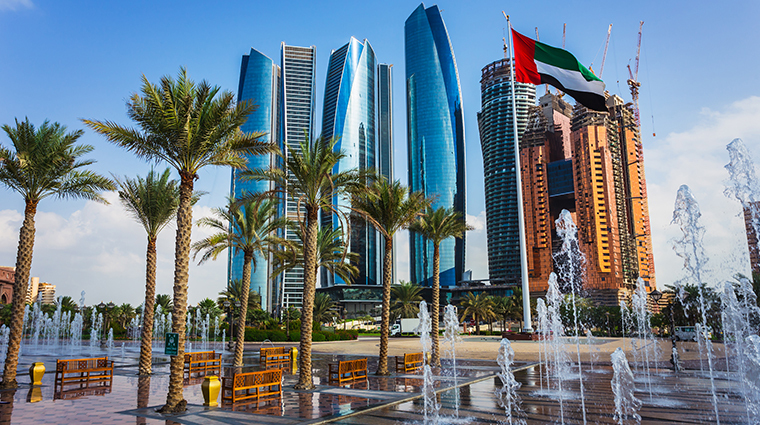 That fascinating juxtaposition of traditional and modern culture, together with top-notch cuisine, majestic architecture and blooming infrastructure, make Abu Dhabi a destination sure to leave a lasting impression.